The car got stuck today and had to be physically lifted up by a few dozen complete strangers. Details and photos further below. Korean and Japanese products are known for their "Kawaii" (cute or adorable) factor. Which is why you have all those lip balms shaped like candy canes, perfume bottles shaped like rabbits and hand cream jars shaped like penguins. 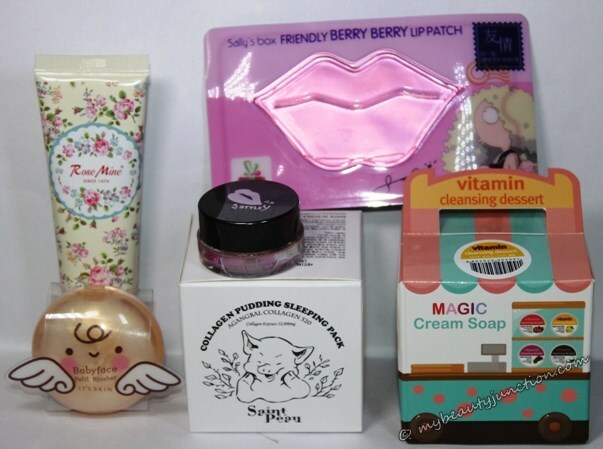 I was thrilled to find that Memebox was coming out with the "My Cute Wishlist" beauty boxes, where you could expect to find a selection of kawaii beauty trinkets. Having missed the first edition of the box owing to work commitments - it sold out very fast - I ordered the second version. The first Cute box was extremely good, with both cuteness and product utility. I am still kicking myself for having missed it. 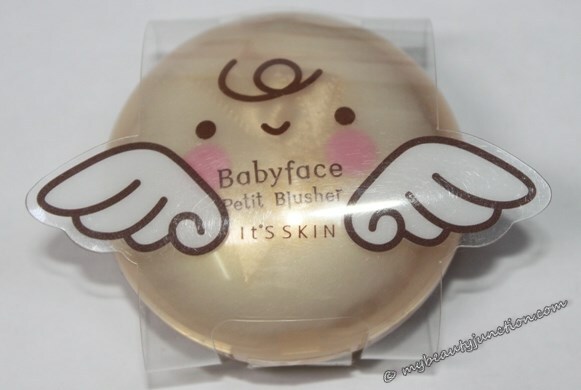 Read on for my review of the My Cute Wishlist 2 from Memebox. Six full-sized products in there. How many of them look cute to you? Let's take a closer look. I am SO gutted to see that those "Wings" are part of the external clear wrapping and are NOT part of the jar. Boo! I have seen these for a while now in other boxes, so I always assused that the wings were attached to the jar or tube. Anyway, this is a lavender blush and goes into my swap box unswatched, because I only ever do peach blush and have enough for a long while. I love the Korean lip masks and can never have enough of them. They do a great job in softening out flakes overnight. 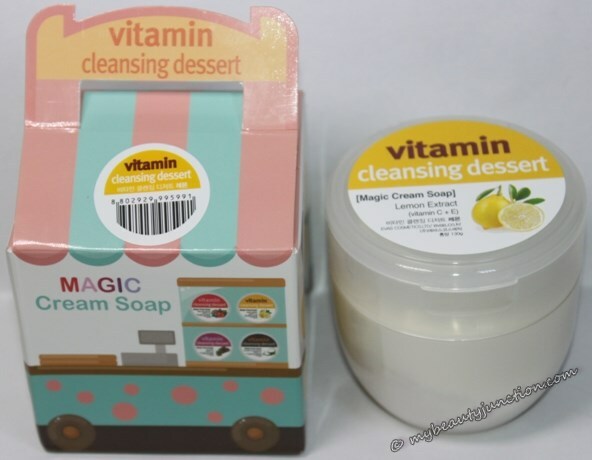 This one is rich in vitamin C and contains berry extracts. I use one every week so I hope Memebox sends them out frequently. I really do not see the cuteness factor here, unless you are talking about the Cath Kidston-like packaging, which is more "pretty and vintage" rather than "cute" as such. 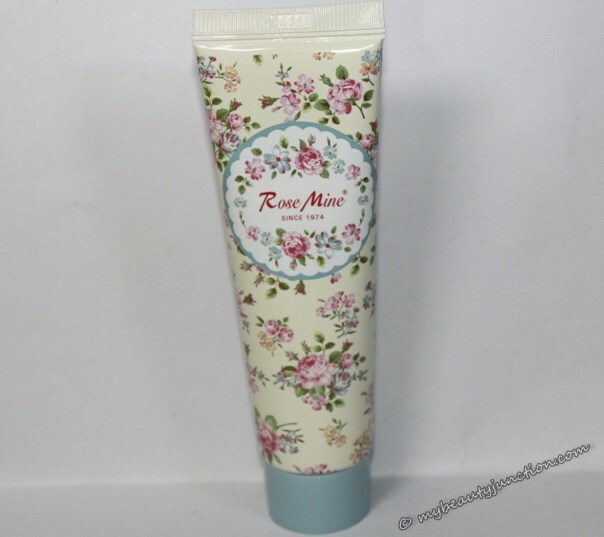 But I am always in need of hand creams so yay for this. I already have this in Chocolate from my Cacao box. I actually wish they had sent me the Red Wine-scented version, but I got lemon. Ah well. Since I already have a version I love, this is going into a giveaway box. I love the swirl design. Apart from that, not much by way of cuteness again. 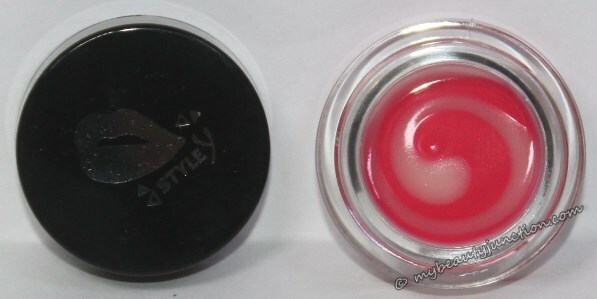 I have not tried this yet, since I have a bunch of lip balms, but will hang on to this because of the swirl and the scent, although I prefer lip balms in tubes. Again, I fail to see what is so cute about this - the piggy on the packaging? 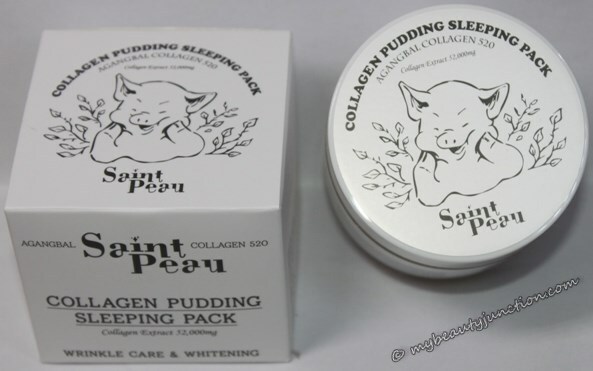 This is an overnight face mask with 52% collagen and is supposed to give you younger and more radiant skin overnight. I am keeping this for a pampering-weekend. While I will use everything in this box except for the blush, I will not be buying more cute boxes, although the third Cute box is better than this one and contains quite a sampling of kawaii products. I prefer skincare to makeup in beauty boxes since there is less risk of unsuitable products anyway. But the Cute Wishlist boxes sell out very quickly - even the fourth edition of this has sold out! So do keep a lookout for restocks here. Three new boxes have been released today - Empress and Cleopatra beauty secrets, and Wonder Woman, all mostly skincare-boxes. You can check out other Superboxes here and value sets here. Or maybe you fancy something from the Memeshop here! Remember, code B0EB gets you $5 off! As I said above, there was a small slope and my car fell right off the edge as I thought the concrete went all the way. Reversing was no good - there was smoke from the engine, so I concluded that the rest of the trip would end on that slope but a few dozen people from around gathered very quickly, brought a huge slab to use as a lever and physically lifted the side of the car and pushed the car back on the slope. Whew. An offer of "treat yourselves to lunch on me" was politely rebuffed by the kind people who said they were more rewarded by the sight of my driving off again. Disclosure: Paid for the box; post contains affiliate links.